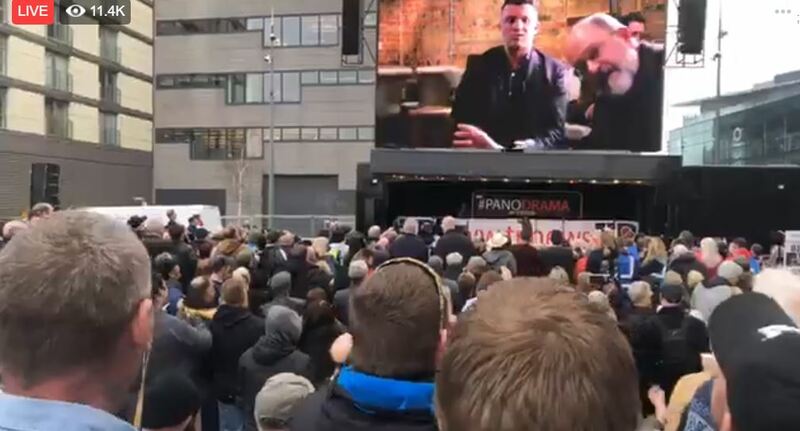 Tommy Robinson’s BBC #Panodrama was a real #SweeneyRoast……. – The Tundra Tabloids……. This wasn’t the best live feed, but it will give you a taste of what went down. Tommy and his colleagues know how to plan an event, and put on a show. This takedown of the BBC’s Panorama division, their premier program, was stunning. After hearing that the BBC was trying to do a hit job documentary of him, Tommy, along with others, planned to turn the tables back on them with an undercover video sting operation, catching them in their own words and deeds. He scored bigtime. Previous Post Previous Post Marxist Finnish constitutional lawyer Martin Scheinin upset over government official calling him a Communist……. Next Post Next Post Katie Hopkins in Paris France: How much longer will Jews be living in the heart of Paris…….